Instructions: Beat all ingredients at low speed for 7 to 10 minutes, or until icing forms peaks. Tip: Keep icing covered with a wet kitchen towel at all times. Icing can dry out quickly. Instructions: In a bowl, sift together confectioners' sugar and cream of tartar. Using electric mixer, beat in 2 beaten egg whites for about 5 minutes or until mixture is thick enough to hold its shape. 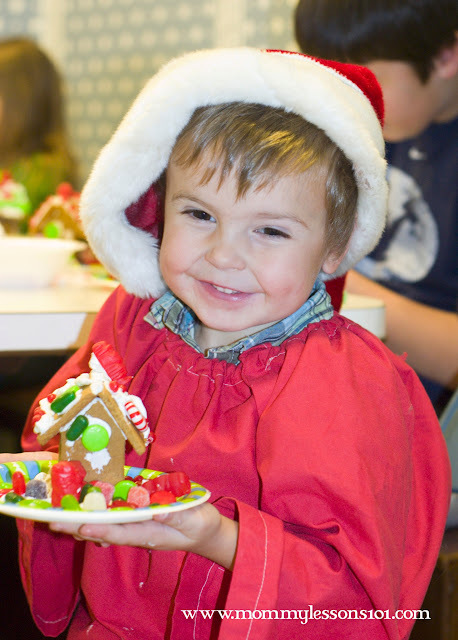 Using your frosting as the "glue" assemble houses from gingerbread or graham crackers and candy! In addition to gingerbread houses, we have also tried other variations on this classic candy craft. 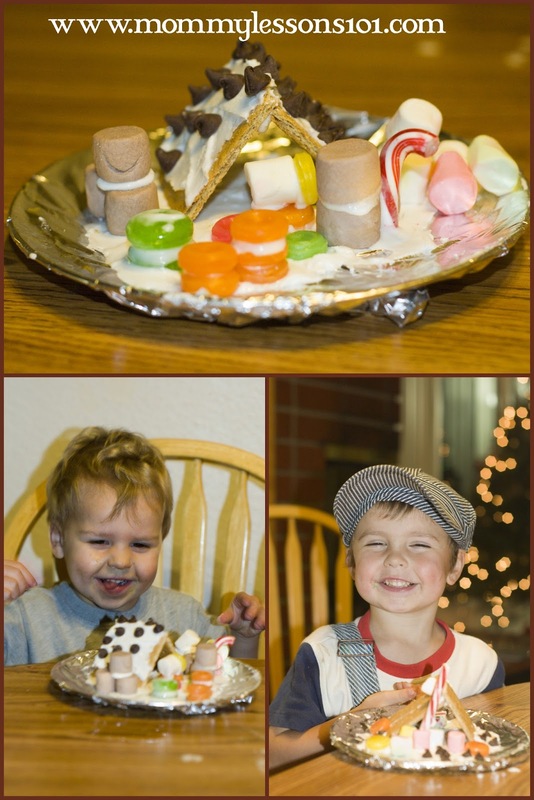 Last year, we made nativity scenes out of graham crackers, frosting and candy. We were inspired by the instructions here for a graham cracker nativity. However, we let the kids have their fair share of creativity, so you have to be very imaginative to see that the white marshmallows are sheep and the chocolate marshmallows are a shepherd with a candy cane staff. 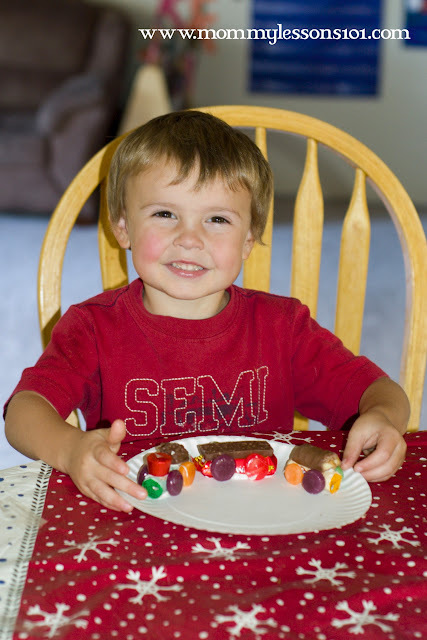 And finally, almost every year, my kids beg to make candy trains. These are so simple and don't even require the heavy-duty frosting that gingerbread houses use, so you could just buy a can of frosting for the store. We have done this several times for our kids' Christmas parties with friends and it is a huge hit. Mini candy bars make excellent train cars, round candies such as smarties or lifesavers form the wheels, and an upside down Rolo or chocolate kiss can make a perfect funnel. Love all your ideas! I would love to win that gift card for Christmas fun!